The Dakota Sandstone is an extensive geologic formation found throughout the Great Plains region. A once vast, warm shallow sea that covered much of Kansas contributed to the creation of the rolling hills and deposited plant / seashore materials and creatures creating the sandstone, limestone, and fossils it left behind. 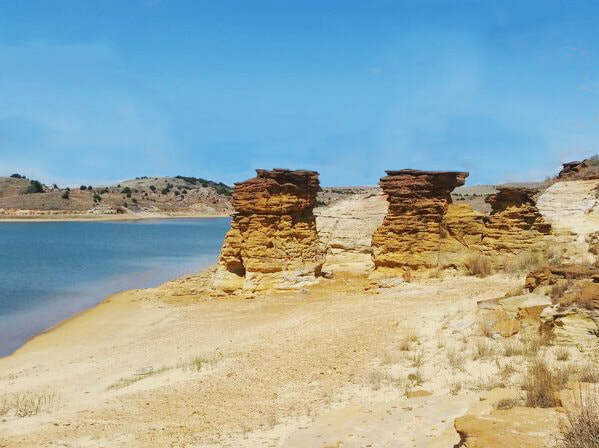 At Wilson Lake the sandstone formation is exposed in several areas. These exposures have proved to be excellent sources of fossil material dating back to the Cretaceous era, approximately 80 million years ago. 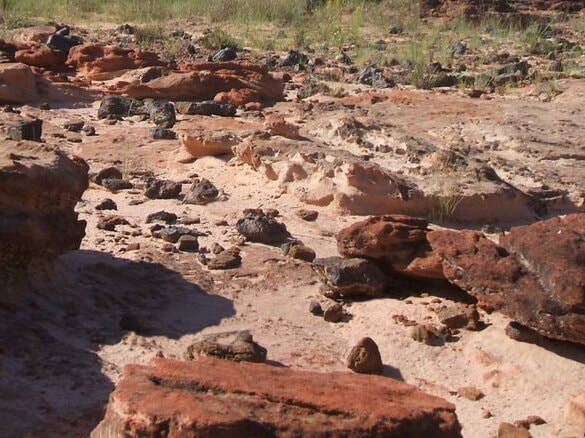 ​Fossils represented at Wilson Lake include a variety of plant material and large ammonites. Rocktown Natural Area is a 305 acre site located on the western boundary of Lucas Park. In August, 1986 it was designated a Natural and Scientific Area by the Kansas Biological Survey. ​Although the most obvious feature of Rocktown is the 15-30 foot high sandstone pillars that dominate the landscape, it is the unusual mix of prairie plant species associated with the shallow, sandy soils of the Sandhills that paramount natural significance. The soils in this area are not typical for this region of Kansas. Plant species of interest include Fremont’s clematis, Fremont evening primrose, shortstem spiderwort, blue funnel lily, Buckley’s penstemon, fameflower, prairie sandreed, and Maryland senna. 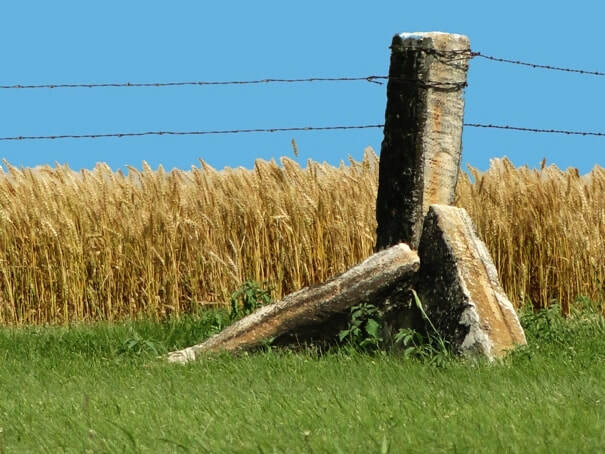 The miles of stone fence-posts in north central Kansas are a tribute to the ingenuity of early settlers who solved their fencing problems on treeless plains by quarrying rock to use as posts. The stone used for posts and homestead buildings was quarried from a rock layer found near the surface. This rock is a chalky limestone of rather uniform thickness, 8-9 inches. When freshly quarried, it is soft enough to be sawed, notched, drilled, or shaped with hand tools. After prolonged exposure to air, it hardens and becomes weather resistant. The communities surrounding the lake have many interesting buildings constructed of stone posts quarried in the area. One-room schoolhouses, churches, homes, barns, businesses, jails, and bridges may still be found standing as a tribute to the early settlers of the area.